Today we’re looking at FireCMD, a new Windows console replacement and (partial) command shell from Brainasoft (http://www.brainasoft.com). 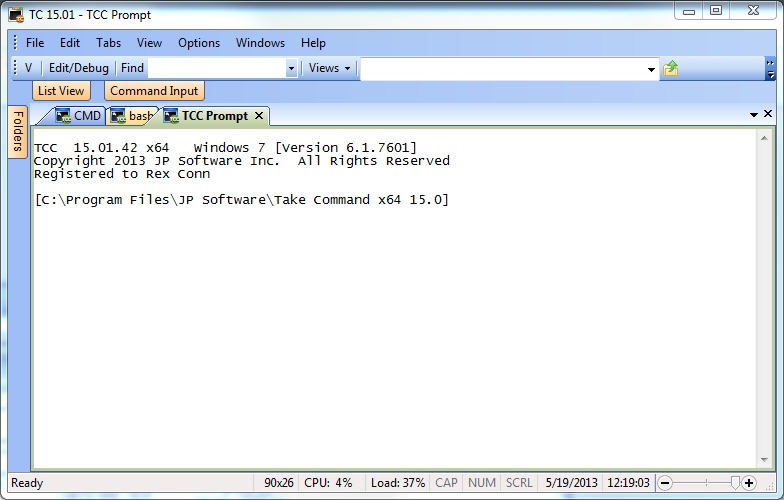 Like Take Command (and ConEmu, ColorConsole, PowerCMD, PromptPal, and Console2) , FireCMD includes a tabbed window interface for Windows console applications. Also like Take Command (but unlike the others we’ve looked at in Parts 1 – 6 of this series), FireCMD includes a command processor. 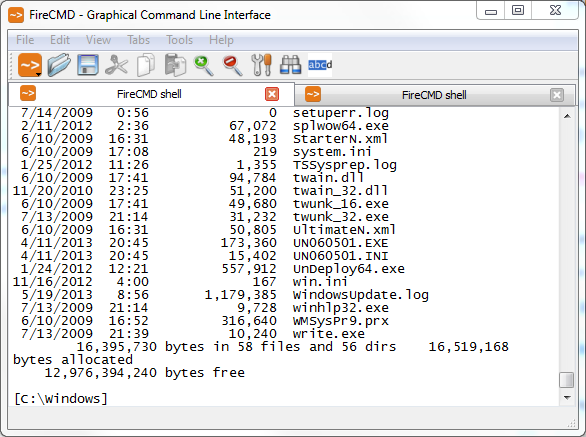 Though with only 14 internal and 9 external commands, the command processor component of FireCMD is rudimentary at best, and more of an add-on to the default Windows command shell CMD.EXE than a replacement. #8 is the only thing in FireCMD that is not already available (in a more extensive form) in Take Command. Take Command allows you to save the contents of the tab window as a text file — nobody’s ever asked for an image file instead, though I’d be open to implementing the feature if users want it. *FireCMD doesn’t include a full CMD-replacement command interpreter; you will need to run CMD or an alternative shell (bash, TCC/LE, etc.) if you intend to do any scripting or anything other than very minimal interactive command line work. Summary: FireCMD in its current form doesn’t offer any significant advantages over the other Windows console replacements I’ve reviewed in parts 1 – 6, and it only has a tiny fraction of the features available in Take Command. It’s worth watching because of Brainasoft’s inclusion of an alternative command shell — perhaps future versions will expand the shell’s command set to make it truly usable as a CMD replacement. Next: We’ll start with the Linux console replacements.